With office hours becoming increasingly more flexible and working from home is the norm for many professionals… it’s no surprise that many people are creating their own inspiring office space. Offices no longer need to be full of melamine and unattractive maroon swivel chairs…there are many attractive looking tables, chairs and accessories to help the workspace integrate into a normal room, be it a bedroom, sitting/dining room or the end of a kitchen. 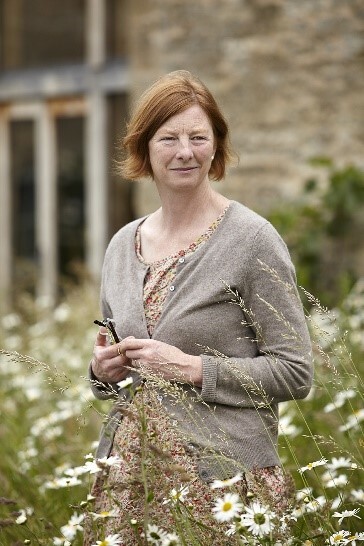 Here, Interiors expert Vanessa Arbuthnott gives her tips on creating a beautiful, personal and inspiring office space. 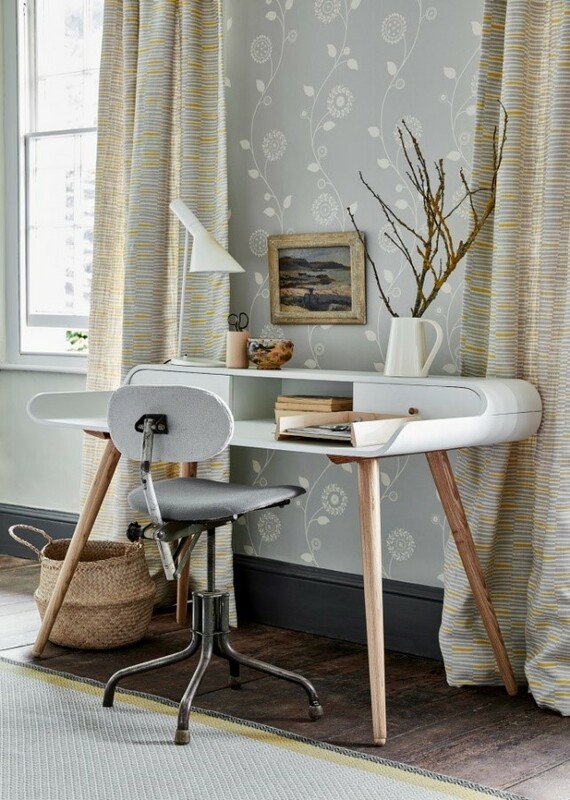 For this workspace in a bedroom, I have used a Cox and Cox desk which has a hole in the back of the desk for power leads, and an antique eBay swivel chair which I have reupholstered with one of my plain linen unions. 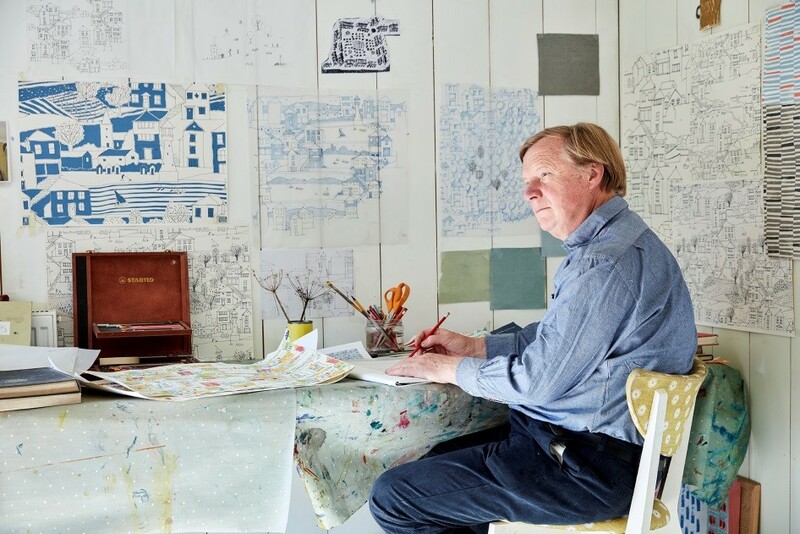 This is an office at the end of a sitting room, with pretty Cow Parsley blinds and paintings on the walls. 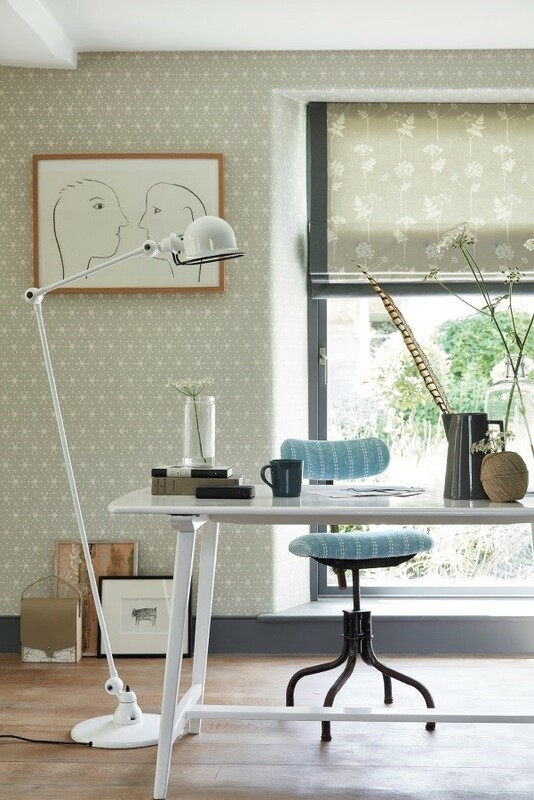 The white floor lamp gives an airy feel and the paintings make it feel like its part of a normal room and less of an office space. My husbands and my home workspace is more of a studio and are in a garage type building but with heating. 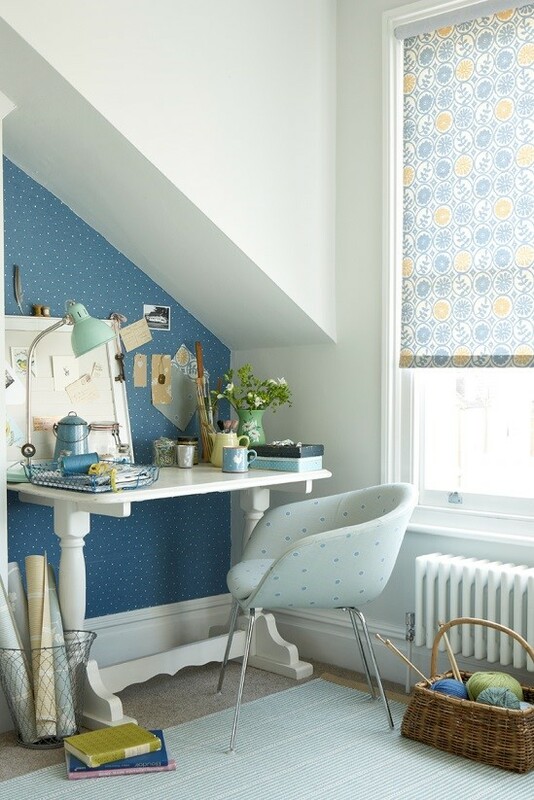 This is just a trestle table with a piece of oilcloth on it and an upholstered Ikea chair! The timber cladding boards are perfect for drawing pins and work in progress. This is a built-in workspace with lots of shelves and is at the end of the sitting room. 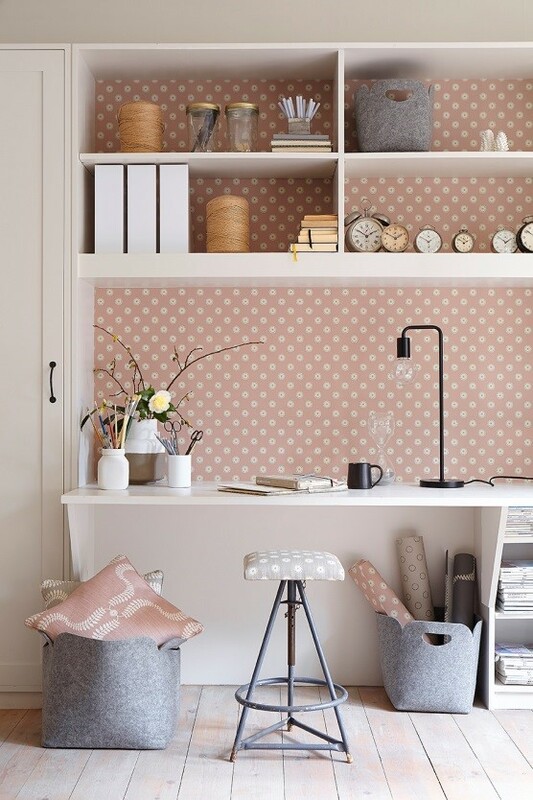 My Pretty Maids wallpaper in Dusky Pink makes it very cosy and soft and welcoming. 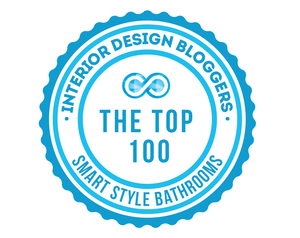 The upholstered stool is yet another eBay find…and we have covered in in Pretty maids in Dove and Winter 100% Linen. Here we have an office in a cleaned up shed…with a good heater and lots of insulation this is a great place to get away from the house and all the jobs it always presents to you! the jolly red Bird Hop on the eBay vintage chair and on the curtain the whimsical animals of my daughter Rose’s Wild and Free design help to make this feel contemporary and cosy. This workplace is in the spare bedroom and is tidied up when guests come to stay. The table doubles as a dressing table and the lovely wooden chair is more suitable for an occasional bedroom. 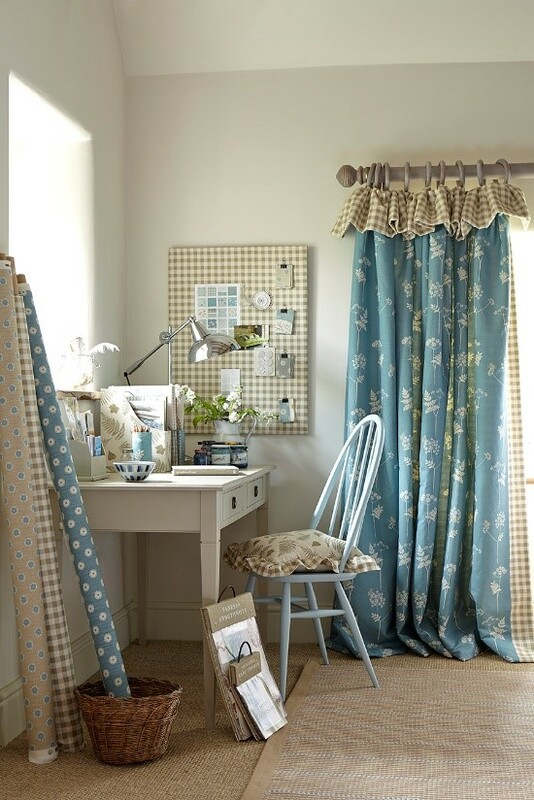 The luxurious Cow Parsley in Teal curtains with their flop over frill, look lovely mixed with our stone and mushroom coloured fabrics. 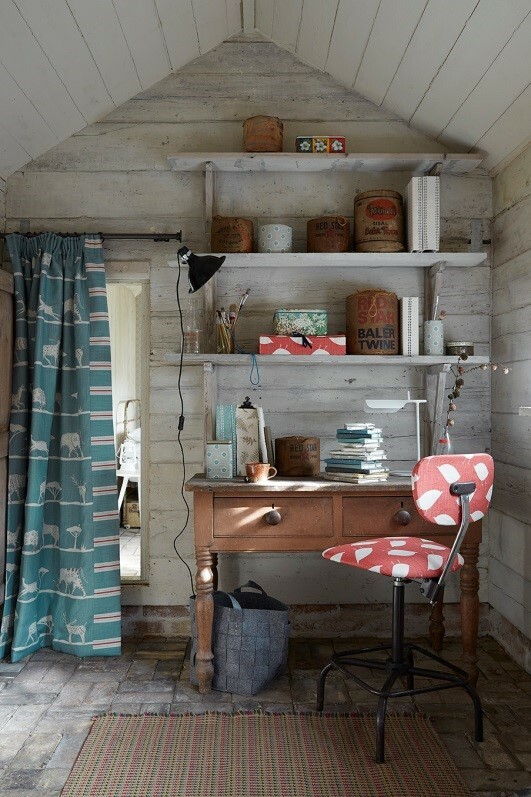 This workspace is in an attic bedroom which is used as a bedroom now and again. The table fits well into the small space under the roof and contains the workspace well. This modern chair has been upholstered in my Simple Spot fabric in Duck Egg and Speedwell and the blind which keeps this space quite simple in Pie in the Sky in Speedwell and Straw.